As promised, here is Part II of my A-Z of Lagos Lingo. If you haven’t read Part I yet, click here. N is for NEPA plc: The Power Holding Company of Nigeria (PHC or PHCN) used to be called the National Electric Power Authority (NEPA plc). Due to the frequent power outages, it was more commonly referred to as: N.ever E.ver P.ower A.vailable, p.lease l.ight c.andle. N is also for Naira: Nigeria’s currency…and is for Naija: A slang name for Nigeria …and for Nollywood – I’ll let you work that one out for yourself. O is for Oyinbo: (I’ve also seen this spelled oyibo) Literally it means peeled skin. If you are a white person, you will probably hear this often, usually to get your attention (yes, you are the peeled skin person) or as an informal greeting. Okada: A motorbike taxi. Ride one at your peril. To ON it/To OFF it: You don’t turn on a light, you on the light. You don’t turn off the washing machine, you off it. On seat/off seat: In the office/at your desk/station, not in the office. P is for Pepper Soup: A popular hot and spicy soup prepared with either meat (goat, chicken or beef) or fish (usually catfish). P is also for Packer: This is what is more commonly known as a dustpan (I was told it was called a packer because you pack things in it). P is for Peanuts: Beware of the Peanuts, you can buy them in bottles (quirky no? ), but urban legend warns that they are perhaps Pee-nuts rather than peanuts as they are (or at least in my time were) shelled by naked hands and the rumour was that the hands were not always the cleanest. Incidentally, the same rule applies to peanuts in bars worldwide – they’re left on the bar and you really don’t know whose hands have been there first…You’ve been warned…However, after a few Stars or Gulders, nobody really cares and they get eaten anyway. Q is for Queen: Queen is a common name in Nigeria. Just a few of the other names you could come across include Peace, Friday, Godspower and Blessing. R is for Rainy Season: Monsoon rains generally sweep through between March and July. The sky turns leaden, the wind picks up and the streets can flood during lengthy storms at which the infamous Go-slows become Full-stops! S is for Sorry-o: This just means sorry. You will notice that Nigerians add this erroneous but distinctive and emphatic O to then end of many words, but sorry is the one you are most likely to hear. We still very occasionally say it without thinking. S is also for Sanitation Day: Sanitation Day, (also known as Environmental Day) is -or was- the last Saturday of every month. Historically it involved staying at home to clean and beautify your area – you were not supposed to be out on the streets. I’m not clear if the day and attached restriction of movement still exists and would love to know? It wasn’t advisable to be caught out on the roads on Sanitation Saturday Mornings, I heard of unpleasant and creative punishments. S is also for Star Beer (as previously mentioned as an ideal accompaniment for plantain chips above). Star and Gulder are the two big brands of locally brewed beer. Most people will have a strong preference for either one or the other. I’m firmly in the Star camp. T is for to Trafficate: To indicate i.e. in a car by using the indicator (a.k.a. the trafficator). U is for: Undertow – Watch out for the undertow in the sea. It’s strong. Be careful. V is for Victoria Island (also know as V.I. ): Once an actual island, this affluent area is now connected to the mainland where it has been joined to Lekki Peninsula. W is for WAWA: It stands for West Africa Wins Again. 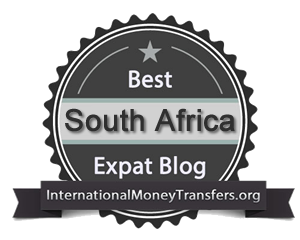 Often uttered by expats, it’s the same idea as T.I.A., which we often hear expats muttering in South Africa), but was used even more frequently to express utter frustration and/or complete non-surprise that things hadn’t worked out as planned. W is also for Wahala: Wahala means trouble. There was “big wahala” means there was big trouble/ a big commotion/noise/fuss/brouhaha. You will also often hear “no wahala” which means no problem/no trouble/no biggie. I just love this word and again, it’s one we still occasionally use. X is for: eXpat – Okay, it’s a bit of a stretch, but chances are if you are reading this you’re heading to Lagos for business or moving there. It’s not (yet) a major international tourist hub. 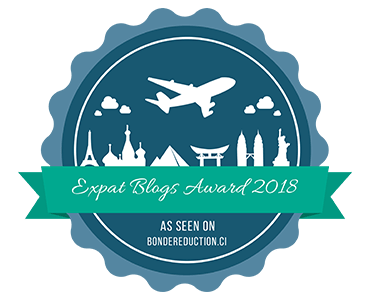 In terms of expat communities, this is the strongest, easiest to settle into one I’ve known. Everybody is in the same crazy leaky boat and will make the effort to include and enlighten you from day one. From the moment you step of the plane, expats you have just met will give you their contact details and invite you to parties or dinners. Accept the invitations and take down those phone numbers – I promise these Friends at Hand and Expat Locationships will be a complete lifeline. Y is for Yoruba: Yoruba is both a people and their language. Zamfara: A state in northwestern Nigeria – my husband thought it would make a lovely girls’ name and jokingly threw it in the hat for our firstborn. There is also a city called Zaria – ditto. What have I missed out? Even as I’m wrapping this up a few more little gems have sprung to mind? I’m sure I’ve missed plenty-o (see, there’s that additional O again). Thanks to the Lagos posse of old for a few little memory jogs. Once again, if you missed the previous A-M list, you can read it HERE.